Optical-light data from other galaxies allowed astrophysicists to estimate that our galaxy is growing at a rate of 1,100 mph, or 1.4 times the speed of sound. Our Milky Way galaxy is growing faster than the speed of sound as new stars pop up in its hinterlands, a new study suggests. "The Milky Way is pretty big already," study lead author Cristina Martínez-Lombilla, a doctoral candidate at the Astrophysics Institute of the Canary Islands, which is based on the island of Tenerife, said in a statement. The Milky Way is a spiral galaxy about 100,000 light-years wide that harbors several hundred billion stars. (Scientists aren't sure of the exact number.) It's tough to gauge the galaxy's growth directly because we're in the middle of it. So Martínez-Lombilla and her team looked to other spiral galaxies as a guide. 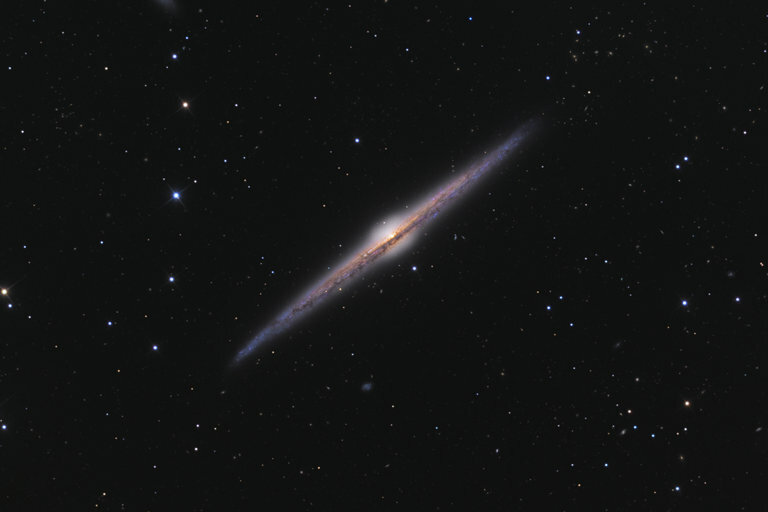 The star birth and movement the team observed indicate that galaxies like the Milky Way are expanding at about 1,100 mph (1,770 km/h) — 1.4 times the speed of sound at sea level here on Earth. In the Milky Way's case, this relatively gradual growth will be swamped in about 4 billion years by a dramatic event: a collision with the spiral galaxy Andromeda. The two spirals will merge to form the "Milkdromeda" mega-galaxy, astronomers say. Martínez-Lombilla presented the new results April 4 at the European Week of Astronomy and Space Science conference in Liverpool, England.